Our River Rhine hiking vacation takes you beside the River Rhine in Germany and is a level 2-3 self-guided walking holiday. This walking holiday in Germany will explore the Rheinsteig; a waymarked walking trail on the eastern bank of the river Rhine. In total the Rheinsteig is 320km long but our journey between Rüdesheim and Koblenz is on average 12 miles, 20km long per day. You will see many castles hanging on cliff edges and amongst the forests, lovely little villages, medieval towns, vineyards and breath-taking views across magnificent river scenery. You will also pass directly the legendary Loreley rock; a visual site not to be missed. Climb the high sides of Middle-Rhine valley (by cable car) and enjoy the beautiful views on the estuary of Nahe. Wine-grower communities Assmannshausen and Lorch display many half-timbered houses. Sights to see include Rheinstein Castle and Ehrenfels Castle. Today you will walk along diverse paths and along the mountain ranges with fantastic panoramic views across the Rhine valley. Soon you will reach the historical shipping port, Kaub or to Dörscheid. 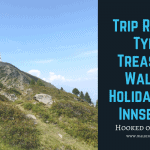 The route today is a real experience with the Nollig castle ruin, castle Gutenfels and what is no doubt the day’s highlight – the imposing toll castle Pfalzgrafenstein. With its unique setting on its very own island and imposing stance; there used to be a chain that ran between the castle and Gutenfels castle on the opposite bank at Kaub to force ships to pay the toll or be thrown into its dungeon! Climb on legendary Loreley-rock and look down on the river Rhine. The views over the Rhine from the viewpoint at the top are stunning, make sure you bring a camera! Three fortresses in St. Goarshausen are expecting you. In the area known as the Rhine gorge, this small but attractive old town has many unexpected charms. Leaving St. Goarshausen we walk on idyllic paths to wine-growing communities on the river Rhine. Fortress Liebenstein and fortress Sterrenberg are two “hostile brothers” from the 12th/13th century. These two castles are merely 150 meters apart but were sworn enemies in years gone by! Fortress Liebeneck, Dinkelholder mills and a completely conserved Marksburg fortress are your faithful companions on the stage to Braubach. A wine-growing town with fortification wall and many half-timbered houses. Marksburg Castle turned prison named after St Mark sits above the town and is one of the principle sites of the Rhine Gorge UNESCO World Heritage Site. Cross a tributary river to Rhine at Lahnstein and ascend to Westerwald with its Celtic ruins. One final highlight is Ruppertsklamm – a dramatic gorge and then the grand final: the Deutsches Eck (German Corner) in Koblenz where river Moselle joins the waters of Rhine. Walking along wine-grower paths, solitary walking paths and old bridle paths, as you walk along the River Rhine. By Train to Rüdesheim and a few minutes walking or short taxi ride to hotel. By Plane: Frankfurt Airport, Frankfurt Hahn, Dusseldorf, Brussels or Stuttgart airport and then by train Koblenz and onto Rüdesheim.